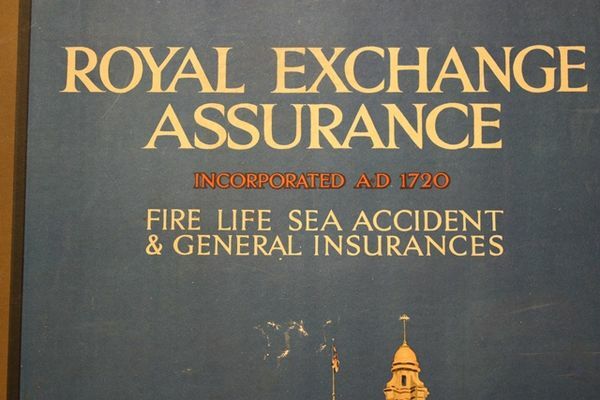 Royal Exchange Insurance Framed Advertising Card. Good Early Royal Exchange Insurance Framed Advertising Displat Card. 79cm x 54cm.